Do you know what the word entropy means? In Websters, entropy is defined as, "The degradation of the matter and energy in the universe to an ultimate state of inert uniformity." Put more simply, entropy is the tendency of all matter to fall apart, wear out or disintegrate into the substance from which it came. Dr. Walter Bortz, author of Dare to Be 100, refers to aging as the disuse syndrome. Thats a great definition. We do not have to experience the effects of aging as most people perceive it in our culture. We do not have to succumb to disease. We get old and decrepit because we dont exercise enough and because we believe its normal to become decrepit. We think "old thoughts" and old thoughts lead to old people behaviors. ... and then proceed to fall apart, deteriorate, and decay. Bones not challenged to bear weight will become soft and brittle. If youre inactive, your bone mineral density will gradually begin to decline at around age 35 and this decline will accelerate after you turn 50. One out of three women and one out of six men will suffer a hip fracture by age 80. You begin to lose aerobic capacity within just days after you stop exercising. After less than two weeks of inactivity, your cardiac output, blood volume and maximum oxygen consumption all drop by 15%. Hearts and lungs not stressed to pump blood and transport oxygen will slowly deteriorate to the point where walking up a single flight of stairs will leave you breathless and gasping for air. Most people over the age of 70 have a noticeably restricted stride and gait pattern because disuse causes a decrease in the size and strength of tendons and ligaments. If you dont USE IT you may even lose the strength and flexibility to perform mundane household chores that involve twisting, squatting, bending or extending. By age 65, people who haven't exercised regularly can show a decrease in muscular strength of as much as 80%. According to Dr. Patrick OShea, professor emeritus of Exercise & Sports Science at Oregon State University, 28% of men and 66% of women over age 75 cannot lift an object heavier than 15 lbs. Imagine not being able to lift your suitcase or move your furniture! You will get weaker and weaker every yearunless you USE IT! People who dont work out with weights lose up to 40% of their muscle mass by age 65. This decline starts early. The average inactive person loses as much as five pounds of muscle every decade after age 20 if they dont exercise. This age related muscle loss, called sarcopenia, causes a decline in metabolic rate and calorie burning. For every pound of muscle you lose, you burn 50 calories less every day. If you burn 50 calories less every day, you will gain an extra pound of fat every 70 days; 5 extra pounds of fat every year; and 50 pounds of fat in 10 years. Research by Dr William Evans conducted at the US Department of Agricultures Human Nutrition Center on Aging at Tufts University has proven that the muscles of elderly people are just as responsive as those of younger people. One 12-week study of 60 and 70 year old men showed not only substantial increases in strength (their lifting ability increased by 93%), but also larger, leaner muscles. In another study on 87 to 96 year old women confined to a nursing home, the subjects tripled their strength and increased their muscle size by 10 percent in only 8 weeks. Based on decades of research, Dr. Evans has concluded that much of the loss of muscle as we age is preventable  and even reversible. He was also quick to point out that his findings were not aberrations - they were the norm. Rest is exactly what aging people DO NOT need! Nature intended us to live lives of vigor, health and activity  to the exact degree we desire - right up until the day we peacefully pass on after the purpose of our brief pilgrimage here on Earth has been fully realized. You can start at any age, and the sooner you start the daily exercise habit, the easier its going to be to keep going. TED CORBITT has held American records for 25-, 40- and 50-mile marathons. 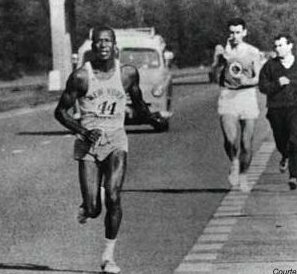 Corbitt ran 199 marathons and ultra-marathons during his career and was a member of the 1952 U.S. Olympic marathon team. At the age of 50, Ted set an age group record for 50 miles, running 5 hours and 34 minutes. He also ran 100 miles in 13 hours 33 minutes at age 51, and in 1973 he completed an amazing 134.7 miles in 24 hours in at the age of 56. Today, Ted is 82 years young and he is widely considered the father of distance running. As he approaches his 83rd birthday, he has toned down his distance running a bit, however he still takes regular short 31-mile walks around Manhattan. 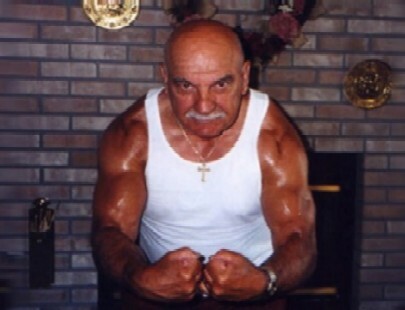 GORDON BORGES, at age 75, has 18.5" biceps, a 47.5" chest, a 17.5" neck and weighs 209 muscular pounds! Hes worked out consistently for 58 years through seven children, 14 grandchildren and two years in the Navy. "Maturity can be a banquet when fed by exercise," says Gordon. In 1953, BILL PEARL won the Mr. California, Mr. America and Mr. Universe title. He then went on to win the Mr. Universe title three more times. His last bodybuilding competition was in 1971, where at age 41 he won convincingly at 241 lbs and in the best shape of his life. easy, and he looks 20 years younger than he is. He is still working, happy, vital, energetic and enjoying life. After 20 years of being their own "case study" in the area of weight training and fitness, mother and daughter bodybuilding duo KELLY NELSON (75) and COLLEEN FISHER (46), have succeeded in staying lean, healthy and youthful. Kelly did not start weight training until she was 52 years old, with no athletic background whatsoever! Colleen is a certified personal trainer and has been training people for the last 18 years. They have been featured in magazines and on television, including Rosie ODonnell, Maury Povich and others. Kelly just sent me an email yesterday and she wrote, "I have before pictures of the 38 yr. old girl I am training. She weighed 275 lbs one year ago and now is at 160. She is beautiful and has Muscle. Legs and lats and shoulders, triceps from her shoulder to elbow. Tom, I too get emails every day from 50 year olds wanting to start weight training, but ask, "Is it too late?" I tell them that 50 is puberty and they have a lot of time to become better and reach their goals." The active bodybuilding lifestyle is not going to halt the fall of the sand in the hourglass, but it IS the closest thing to the fountain of youth that youll ever find. If they can do it, so can you. So USE IT!